Report about "Reviving Cambodia: Restoration of Life and Forest through Revival of Textile Traditions"
We hosted a photo exhibition by Junji Naito, “Reviving Cambodia: Restoration of Life and Forest through Revival of Textile Traditions” at the Kyoto Museum for World Peace at Ritsumeikan University from January 18, 2011 through January 23, 2011. This is a part of activities of “International Study on Labour Issues, Unstable Living and Guaranteed Income”, the project led by graduate students at Ars Vivendi. The purpose of this event was to support and introduce activities of Mr. Kikuo Morimoto (the Director of the Institute for Khmer Traditional Textiles (hereafter IKTT)), who has tried to revive not only Cambodia's traditional textile products but life and environment in Cambodia. The total number of about 250 people came to this photo exhibition and the seminars of Junji Naito and Kikuo Morimoto. Mr. Naito has also taken photos of Mr. Naoyuki Kawahara, who has been conducting various activities including medical care activities as doctor (A photo book, Another Sudan: Challenges of Japanese Doctor, Naoyuki Kawahara , was published in Japanese in 2010). 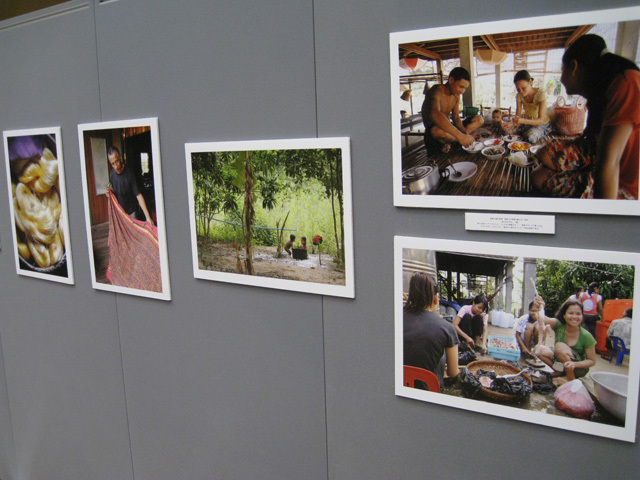 In this photo exhibition, Mr. Naito provided us with pictures which could deliver the atmosphere of how people have been reviving their life, environment and traditional wisdom through activities conducted by Mr. Morimoto in Cambodia, where people often talked about its tragedy due to mine and poverty. 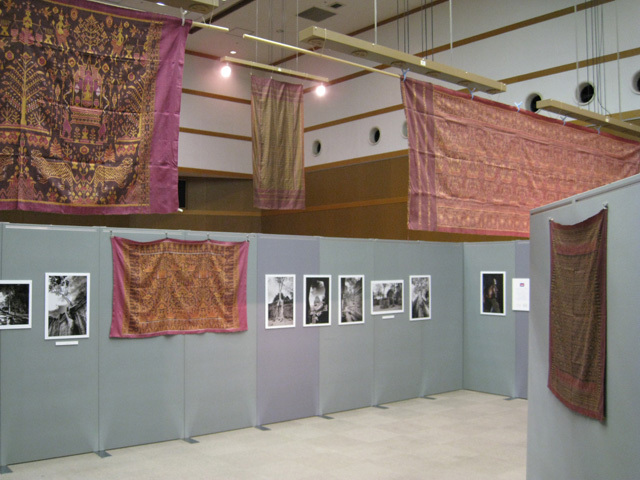 At the exhibition we exhibited both pictures and textiles of IKTT since we were able to borrow them from Mr. Jun Nishikawa, who works for IKTT Japan, and Kazuyo Uemura, who is the professor at Tezukayama University. This way of exhibition enabled people to feel their extreme precision and beatifulness. After I visited IKTT in Cambodia last September I started thinking about organizing this event. In spite of a short-time preparation, the event ended with success because of strong support of administrative staff of the Research Center for Ars Vivendi. I really appreciate their cooperation.